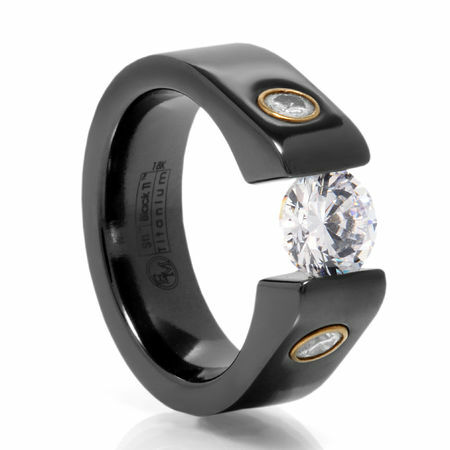 This elegant tension set ring used to be priced much much higher! Its our last one left so we are liquidating it out for the very low price of $349. It features 2 beautiful round brilliant diamonds weighing .20ctw. The diamonds are set in luxurious 18k yellow gold. The center stone is a 6mm cubic zirconia. Expect lots of compliments!